David Byrne’s op-ed in the Times on Sunday got me thinking about the importance of information sharing in online music services. In that spirit, I decide to throw up this unpublished whitepaper from 2011-12 on ways forward for online music licensing. Central to the idea is complete transparency on who is consuming what. It provided a way for unlicensed services to become licensed and to minimize the economic value of unauthorized music distribution. It certainly has its flaws (it fails to appreciate the importance that labels put on pricing different songs differently, which may or may not be a legitimate thing to consider in this context) but I’ve always kind of been partial to it. Remember that at the time this was written Spotify had pretty much just launched in the US and its licensing situation was from from clear. Anyway, for posterity’s sake here is the text of the whitepaper. It never had a title. The fundamental idea is that instead of subscribing to a service, you subscribe to music. You can take your music subscription to any service that offers you music in an interesting ways. That way, instead of competing on the licensing deals that services can cut, services compete on being good at helping you to experience and discover music. The music industry provided many people their first opportunity to consider how the internet would impact existing industries. Napster became synonymous with the first widely recognized internet “crisis.” The RIAA, the lobbying organization representing record labels, has been a driving force behind both strengthening digital copyright laws and enforcing those laws in court. However, even as the internet has moved from novel to commonplace, after almost fifteen years the music industry has not yet fully come to terms with the realities of digital distribution. Although the music industry was one of the first industries to be impacted by widespread consumer access to the internet, it has lagged behind others in finding ways to adapt to the new connected digital landscape. In fact, “avoid being like the music industry” has become something of a guiding principle for other industries facing similar digital disruption. That is not to say that the music industry has not taken important steps towards engaging with the internet. Compared to the apocalyptic rhetoric and wall-to-wall litigation of the early 2000s, the current online music landscape appears to be relatively stable. It is easy and convenient to pay for music files from services such as iTunes and Amazon. Google, Amazon, and Apple (among others) are beginning to offer consumers ways to stream their music collection on demand from an internet connected device. Grooveshark, Turntable.fm, and Spotify give consumers on-demand access to a wider range of tracks. Pandora creates customized radio stations for each individual user. This stability does mask problems, however. Compared to many internet sectors, the online music landscape is not diverse. Large companies dominate the market for purchasing music downloads. There appear to be few, if any, opportunities for startups to enter the pure download market. Even Apple’s “revolutionary” iTunes store simply met a need that had been clearly expressed by consumers for years. Only in the music industry are such late-to-market developments like selling single tracks and albums digitally online considered milestones. Streaming is similarly hobbled. Large incumbents are just beginning to offer consumers the option of streaming the consumers’ own music collection online. Smaller companies trying to offer similar services have been smothered by lawsuits. Services such as Grooveshark and Turntable.fm, unlikely to be able to negotiate full licenses with major record labels, rely on a combination of relatively untested legal theories and limited licenses to protect themselves from liability. Pandora struggled unprofitably for years, fighting with record labels for an economically viable licensing agreement. Even Spotify, the darling of the online European music world, took two years to negotiate its stripped down entry into the United States market. Even now the “successes” in this area are trailed by complaints from many sides regarding any number of issues. There is a reason that there are so few truly successful startups in the digital music world: licensing. For the vast majority of music startups, it is simply impossible to negotiate an economically viable music license. For this reason, veteran venture capitalist Tony Conrad has compared investing in digital music startups to fighting the Vietnam war. The music industry has been unable to tap into the startup culture that is creating thousands of new killer apps and exciting services. These apps and services would increase demand, interest, and engagement in music, hopefully to the benefit of all involved. The music industry is largely left out of the energy, excitement, and engagement of the digital world because it has not found a way to come to terms with the services that make that world spin. Why Can’t the Industry Support Innovation? There is no inherent reason that the music industry should be unable to support innovation and change. Many parts of the industry are in an almost constant state of change: new genres and artists are continually appearing to upend existing mainstays. Major labels have entire departments devoted to constantly discovering new content. It is clear that the music industry does not hate change and innovation in and of itself. However, the music industry is having a hard time coming to terms with the best way to embrace the internet. Faced with diminishing profits, record labels are constantly in search of a new digital revenue stream. Unfortunately, labels also expect this stream to be able to restore revenues to industry high water marks. If a new opportunity does not offer a clear path towards hundreds of millions of dollars in revenues, many labels do not think that it is worth their time. Similarly, labels are worried that striking a smaller deal with a service that proves to be very popular and profitable will cause them to lose out on the next big thing. Essentially the record labels, like many industries, is haunted by the fear of waking up one morning to realize that they have traded analog dollars for digital pennies. This caution has made record labels reluctant to incubate new music startups that could compete with their existing (but declining) offline revenue streams. They insist that startups pay steep advances, guarantee minimums, and accept licenses that force them to operate under slim margins and restricted feature sets. Ambiguity surrounding which types of licenses are required for various types of offerings further complicates the terrain. The shortsightedness of this strategy becomes more apparent by the day. The record labels are rapidly moving towards a point where they no longer have to worry about trading analog dollars for digital pennies because only analog pennies remain. Furthermore, the labels are beholden to a handful of large online companies (especially Apple) that were able to meet the licensing terms in the past. Instead of a diverse landscape of companies offering a multitude of music related services online, most digital music income is reliant on Apple, and to a lesser extent Amazon. Until the record labels find a way to make it easy for music startups to innovate and grow, while at the same time paying for the use of recorded music, this pattern is likely to continue. The absence of a straightforward, easy to obtain blanket license for online music distribution prevents the music industry from fully monetizing the strong desire of music fans to consume music online. It also effectively prevents the large number of application developers that want to distribute music online from acquiring necessary rights (or even identifying which rights are necessary). If those developers do manage to acquire those rights, the absence of a reliable license creates a looming threat that success will result in crippling licensing fees. This paper describes a workable framework for a blanket license for online music. By design, this system allows all of the parties in the music industry to focus on what they do best. Artists can focus on making music. Labels can focus on nurturing and promoting talent. Collective rights organizations can focus on tracking, collecting, and distributing money. Equally importantly, it brings a new party into the industry: application developers. The license allows developers to focus on designing new ways to get people interested in music (and interested in paying for music) instead of negotiating complex licensing agreements. The public will be able to purchase a license and be allowed to access music however they see fit. Briefly, the proposal is for a voluntary collective license. Users pay a monthly fee to a digital content licensing organization. In return, they get a username and password that they can bring to third party services to access music in any number of ways: streaming, downloading, curated stations, etc. In exchange for reporting usage statistics to the digital content licensing organization, any third party can get permission to distribute music. However, third party services do not receive a percentage of the license fee: they are responsible for creating other revenue sources. The digital content licensing organization then distributes the collected fees to artists proportional to public consumption. By providing the public with all of the music they want, delivered in the manner they prefer, while at the same time creating a dependable revenue stream for artists, this license will serve as a way for the music industry as a whole to embrace digital distribution. As an additional bonus, it will avoid making the industry uncomfortably dependent on one corporation or entity for its profits. The license will be voluntary. This aspect serves a number of important goals. First, it is the only politically feasible way to create the license. Rightly or wrongly, the digital public does not trust the music industry. Imposing a required fee on all Internet connections, or all digital devices, or on anything else, will be seen as an attempt by a struggling industry to tax innovation. This perception will be compounded because, if a mandatory fee were to be imposed on the public by the music industry, other industries (such as the news, movie, and publishing industries) would quickly insist on a similar fee. Second, the parties responsible for collecting a mandatory fee are unlikely to enthusiastically participate. ISPs have expressed skepticism about involvement in any sort of fee collection, be it voluntary or mandatory. Becoming the fee collectors for the music industry, and essentially becoming the public face of a potentially disliked program (if it is mandatory), is unlikely to appeal to any intermediary. Third, a voluntary license provides a check on the music industry. Customers will feel that they have the power to opt out of the license if they are no longer interested in acquiring new music. Although such opting out is unlikely to occur in large numbers, simply having the option to stop payment will go a long way towards public acceptance of a license fee. Finally, a voluntary license allows people who are not interested in music to avoid paying for it. If a consumer is interested in music they can pay for music. If they are uninterested in music, they can avoid doing so. While the percentage of people who are completely uninterested in music is relatively small, such people do exist. Financially supporting musicians cannot be a prerequisite for Internet access. The music industry does not want to be regulated as a public good, and therefore can not have the power to impose general taxes for support. One of the most important parts of the collective license is that it will allow for the creation of a diverse group of third party applications and stores dedicated to convincing people to become more engaged with music. The history of music-related online startups clearly illustrates that there is a great deal of interest in creating new ways for fans to connect with music. However, most of those attempts have foundered on the rocks of licensing agreements. By removing delicate licensing negotiations from service creation, a blanket license will quickly lead to scores of new music-based applications. Although the license will allow licensees (the public) to acquire music from wherever they please, it will not automatically absolve third party services of liability for assisting in that acquisition. Services will need to comply with a handful of simple requirements in order to obtain their license to distribute content to members of the public licensed to receive it. The most important of these requirements will be to report the activity of its users to the digital content licensing organization. This reporting will be done in an aggregated, anonomized way that will reflect which songs are being accessed, but not in a way that would compromise the privacy of individual users. The digital content licensing organization would establish a standardized reporting process that would allow services to automatically deliver usage data. This data would be used to calculate payments to artists and rightsholders. Another requirement would be that users log in to use the authorized services. When users pay for their license, they will receive login credentials (i.e. a username and password). In order to access online music services, the consumer will enter those credentials. This validation process could occur once (associating a license username and password with a specific account on a specific service) or on an ongoing basis (using the license username and password as the login credentials for a specific service). Existing fraud protections could largely prevent a single account from being shared between large numbers of individuals. Beyond these relatively simple and easy to implement requirements, third party applications would be free to distribute music however they see fit. This would make it easy for existing black market applications to become legitimate, licensed communities capable of attracting investors (if they were so inclined). Applications could offer track downloads, track streaming, curated radio stations, custom mix tape downloads, or any other way they chose to package music. Because applications would not receive a percentage of the license fee, it would be up to them to develop a profitable business model. The license must include both downloads and streaming of tracks. While there may have been a time when there were clear distinctions between downloading and streaming music, that time has clearly past. Any number of services now allow consumers to stream entire music collections on demand to connected devices. Although there are important distinctions between downloading and streaming in the context of track ownership, innovative services should have the ability to combine these offerings as freely as possible. Both downloads and streams should be covered by the license. That does not mean they should be compensated identically. The compensation section (below) will address how best to accommodate these differences when allocating payments to artists. One potential place for consumers to purchase their license is with their primary Internet connection as an addition to their monthly bill. After all, some sort of Internet connection will be a prerequisite for using the license. The license will be billed in monthly cycles. It will cover an entire household, just as Internet service does today. However, ISPs as a point of sale are not ideal. In many instances, customers have at least two ISPs – wireless and wired. Being asked to purchase a license twice could lead to confusion. Instead, the license could be offered directly to consumers by the digital content licensing organization. Although allowing consumers to purchase the license directly from the digital content licensing organization might have a negative impact on the initial subscription rate, in the medium and long term it could prove to be a more sustainable model. It would also remove a burden from ISPs and simplify the payment chain. It is reasonable to assume that the vast majority of users would migrate to “legitimate” platforms once they are available. This would occur both because new, attractive services would appear and because many existing darknet services would incorporate the license into their operation and “go legit.” Among other things, this would allow these services to attract a broader, more lucrative set of advertisers. As a result, most of the use data would come directly from the information that apps reported to the digital content licensing organization. If this did not occur, the per-use counting could be augmented with statistical sampling techniques from other sites. 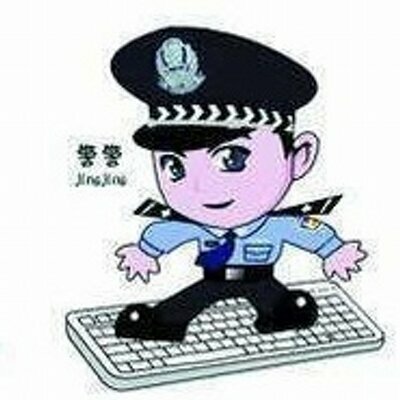 Of course, the digital content licensing organization would also implement measures to combat clickfraud and other attempts to artificially influence the data. The digital content licensing organization will allocate payment to rightsholders based on the percentage of downloads and streams that each work received over the course of a period of time (such as a month). Streams will be weighted less than downloads, in a ratio to be determined in the future. The distinction between the two will be a simple, straightforward rule such as “if the song can be accessed without an Internet connection, it is a download.” The fixed ratio model will allow third party services to offer the public downloads, streams, or both, and to change the allocation according to market demand without having to fear being crushed by new licensing fees. The digital content licensing organization must be an independent, transparent, nonprofit organization. Its board would be a mix of artists, labels, service providers, and others adequate to give all parties confidence in the organization. It will be responsible for creating and maintaining an authoritative database of rightsholders, and for making that database accessible to the public. The organization will create open, standard ways for third party applications to submit usage data. It will also collect funds from users and distribute those funds to rightsholders. In order to accomplish this task, the organization will retain a percentage of the licensing fees to cover expenses. Finally, the organization would have the power to set the license fee paid by the public. While the blanket license solution is an attractive one, implementing it will not be without challenges. None of these challenges are insurmountable, but they must be dealt with in a realistic and transparent manner. The description of the solution simply assumes that there is an accurate way to match songs used by services with parties who should be compensated for that use. Although conceptually straightforward, today this process is far from easy. In addition to the fact that music tracks involve two distinct copyrights (one for the underlying musical work and one for the actual performance), ownership for each of those copyrights is often subdivided between numerous parties. Ownerships can be transferred in ways that are poorly documented and hard to determine. Companies with ownership interests can go out of business, and individuals can die without their estates in order. It is no understatement to describe the creation of a universally inclusive, accurate index of music rights ownership as a holy grail of online music. The fact that such an obviously useful tool does not exist well over ten years into the online music story is a testament to how hard it is to create. That does not mean, however, that it is impossible to create. The information needed to populate the index exists today, scattered across various organizations and companies. Organizations like ASCAP and Harry Fox Agency have indexes that they use to license works every day. Record labels generally have the information necessary to license performances in their catalog. The challenge is to find a way to convince all of those organizations to share their information, and then standardize and unify what they share. Without statutory backing, the license must be a voluntary license. That means that artists would be free to choose to join the license or to not join the license. As a result, it is possible that some artists would remain outside of the scope of the license. Of course, this problem is not limited to the license discussed in this paper. Existing collective rights organizations, such as ASCAP and BMI, also offer blanket licenses that are voluntary. While some artists could theoretically decline to license their songs through ASCAP and/or BMI, prowl the streets waiting to hear their songs performed publicly, and then sue the establishment for copyright violation, in practice this rarely happens. There is a simple reason for this – signing up with ASCAP is an easy way to guarantee a revenue stream from public performances of a work. Instead of patrolling the world for copyright violations, the artist can focus on making music. Also, the ubiquity of being “in” the license means that licensed music is effectively cheaper than music outside of the license. Once a business owner has paid for an ASCAP license, any money paid to license other music is an additional expense. Ideally, the same dynamic would occur with the license proposed in this paper. The digital content licensing organization would control a large pot of money, and be looking to distribute that money. Most rightsholders would see the value in participating in that process and focusing on music, instead of going it alone and patrolling the internet for violators. The fees paid to the digital content licensing organization would be distributed proportionately to rightsholders. It is legitimate to consider how to take into account the real differences between streaming and downloading when making this calculation. As noted above, defining the difference between downloading and streaming can be complex, but simple rules of thumb could be applied. The key distinction could turn on the accessibility of the file when the device is not connected to the internet. Alternatively, it could rest on what happens to the file if the user stops using the service. True ownership of a file that persists after service cancellation is more valuable than access conditioned on paying monthly fees. In any event, the ultimate question is not necessarily how to define the distinction between streaming and downloads, but rather how to set the compensation rations. How many streams of a song should count as one download? This negotiation may be somewhat easier than it has been in the past because the result will not result in increased costs for users. Instead, the outcome will only impact the percentage of the funds collected that will be distributed to a specific rightsholder. This kind of sharing agreement where fans pay for music, artists get paid, and innovators can innovate in a predictable licensing environment is an intuitively attractive solution to many of the challenges in today’s music industry. It is, unfortunately, by no means an easily implemented one. However, the goal of this whitepaper is to succinctly describe a possible solution in hopes of giving all parties a single goal to work towards. Naturally this is not the first time such a solution has been proposed, nor will it be the last. Neither is it the only possible solution. Artists are by their nature creative, and the internet gives them a near limitless sandbox in which to experiment with new business models. New labels are forming with the goal of working with the opportunities presented by the internet. Some innovators are finding ways to raise funds and obtain licenses within the existing systems. And, finally, there are people within major labels who are working hard to orient their companies towards the new reality. The transition from analog to digital is never easy, and the music industry is no different. It is perhaps the music industry’s unique bad luck to find itself at the nexus of a history of sloppy record keeping, a legal structure that grants powerful rights in a diffuse group of people, and a product that was one of the first to be easily distributed (both legally and illegally) online. Real change will require coming to terms with all of that, and much more. Ian Rogers, How About This Instead of SOPA? My Proposal for Legislation to Proactively Combat Piracy While Encouraging and Open and Innovative Internet, FISTFULAYEN http://www.fistfulayen.com/blog/2012/01/a-proposal-for-legislation-to-proactively-combat-piracy-while-encouraging-an-open-and-innovative-internet/ (2012). This paper is focused primarily on the recorded music industry. This is because recorded music was traditionally the economic engine of the industry. A number of studies suggest that, while revenue from recorded music is in decline, other revenue streams such as touring are actually increasing and replacing that lost income. See, e.g. Michael Masnick & Michael Ho, The Sky is Rising: A Detailed Look at the State of the Entertainment Industry (2012), http://www.techdirt.com/skyisrising/. However, although the decline of the recorded music industry is not synonymous with the decline of the music industry as a whole, it is significant. The proposal made in this paper is an attempt to find a sustainable way to monetize recorded music online. See, e.g. the original MP3.com. Sarah Lacy, Ask a VC: “Investing in Music Is a Little Like Vietnam” http://techcrunch.com/2011/02/25/ask-a-vc-investing-in-music-is-a-little-like-vietnam-tctv/ (Feb. 25, 2011) at 19:23. Experiments like OpenEMI and Cantora Labs are certainly encouraging, but fall short of a full-scale commitment by the industry. Furthermore, while musicians can (and are) free to experiment online, doing so today generally means turning away from the label system. Among other things, this can make it harder for the artist to provide a centralized contact point for easy licensing. For an excellent discussion about the challenges associated with creating a music startup, see Dalton Caldwell’s 2010 presentation to Y Combinator’s Startup School available here: http://techcrunch.com/2010/10/20/imeem-founder-dalton-caldwells-must-see-talk-on-the-challenges-facing-music-startups/. See also Michael Robertson, Why Spotify can never be profitable: The secret demands of record labels, http://gigaom.com/2011/12/11/why-spotify-can-never-be-profitable-the-secret-demands-of-record-labels/ (Dec. 11, 2011). One notable example of many is Björk’s iTunes app Biophilia, http://itunes.apple.com/us/app/bjork-biophilia/id434122935. The most surprising thing to me about working at Shapeways so far is how people respond to copyright takedown notices. In fact, it is fundamentally changing the way I think about online copyright debates. Before I came to Shapeways I worked on online copyright policy issues, so I thought I had a pretty good understanding of the copyright notice and takedown process. A user uploads a file to a website like Shapeways. A brand sends Shapeways a notice claiming that the user is infringing on their rights. Shapeways takes the file down and tells the user. In the classic model, this process gives the user a choice: she can recognize that she is probably infringing and keep the file down, or she can claim that the brand is wrong to order the file down - maybe because of fair use, maybe because she has a license, maybe because the brand just picked the wrong file by mistake - and order it back up. There is a lot of nuance lost in this model (many people who should challenge takedowns are intimidated by the legal process and don’t, for one), but it is still the classic textbook model for how the process works. While this model plays out every day, there is an additional option that I didn’t fully appreciate: the user recognizes that they are infringing but desperately wants to be put in contact with the brand so she can get a license. She wants to find a way to partner with the brand, sharing revenue and working together. In many cases, the takedown notice is a gift because it is the first time she has been able to communicate with anyone from the brand at all. The online copyright debate is often characterized by two archetypes: the unrepentant pirate and the stifled free speaker. The unrepentant pirate works hard to undermine global creativity by making music, movies, and everything else freely available online without regard for consequences. The stifled free speaker (or, if you prefer, proud mother sharing videos of her child with her family) is unjustly silenced by overzealous copyright owners. There is a truth in each of these, while at the same time each paints with too broad a bush. But focusing on this dichotomy masks a third, growing category: the eager partner. The eager partner does not lurk in the shadows of the internet, motivated by a desire to make all copyrighted content available for free. Neither is she making expressive use of content in a way that does not require approval from brands. Instead, the eager partner is consciously building on existing IP – often IP that she has a deep emotional connection to – in a way that probably does require some sort of license agreement. She is not trying to hide from the brand. She does not think that the brand’s opinion of what she is doing is irrelevant. The eager partner wants more than anything else to become an official partner of the brand, and is more than happy to send the brand a percentage of her revenue in exchange for doing so. She just doesn’t have a way to make that partnership happen. (These characteristics set her apart from the rich trove of fan artists whose work is protected by fair use). Today, brands are failing to take advantage of these eager partners. The eager partner is not trying to avoid the brand – the eager partner wants to work with the brand. There are obvious benefits to this sort of partnership. For the eager partner, there is the ability to share – and sell – their creations with full approval from the brand. The eager partner also gets a deeper connection to the brand they love enough to use as a basis for their creativity. The brand benefits as well. In the short term, the brand gets to avoid the awkward situation of threatening a super fan with legal action. The brand also gets the benefit of the eager partner’s market research and testing. No matter how big a brand is, it will never be able to imagine all of the products that might find a market online. That means they are not producing things that could be making them money. 3D printing enhances the cost of that limitation because it even allows a market of 5 or 500 to be met profitably. In aggregate, these products can drive significant licensing fees. If fans are selling products, a brand will get a cut of each of those sales. This is a slightly different way of doing business, and it won’t be as easy as waking up one day and deciding to do it. Embracing fans means giving up bit of control. However many benefits that loosening of control may bring, giving up a bit of control is always hard. Traditionally, transaction costs have also been a barrier to this sort of agreement. Dealing with large numbers of fans – some of whom will not be bringing in large numbers of dollars – can be logistically time consuming and expensive relative to the value created. Fortunately, neither of these challenges have to be deal killers. I’ve argued for a while that brands can set up straightforward licensing rules while reserving the right to pull licenses for fan creations that make them feel uncomfortable. That helps reduce transaction costs by standardizing agreements and avoid awkward or controversial creations by making it clear to eager partners what the rules are. Oftentimes, giving up a bit of control is just what is needed to reinvigorate and inspire a fan base. Even a small amount of attention from a brand can go a long way in strengthening the relationships with their fans. Also, there is no need to open the floodgates immediately. Starting with a handful of trusted fans can give brands the ability to test the waters and learn what is possible. No, this isn’t a post about President Obama being “absent” from some policy debate or another. Instead, this is really about President Obama being missing. More specifically, this is about the missing high resolution 3D scan of President Obama being missing. The file exists – why isn’t it public? A little over a year ago, the Smithsonian’s Laser Cowboys came to the White House to create the first 3D portrait of a sitting president. The resulting 3D printed bust made a cameo appearance at the first White House Maker Faire and was on more general display in the Smithsonian Castle at the end of 2014. The White House also released a great video that detailed the entire scanning process. The bust popped up again at the National Portrait Gallery for Presidents Day 2015 and then, presumably, made its way back to storage. Which is fine. The nature of physical artifacts is that they can only be displayed at one place at a time and, in most cases, spend some time in storage away from the public. Of course, this is not just a regular artifact. It is a 3D printed bust created from a 3D scan file. While the bust can only be one place at a time, the file could be any- and every- where at once. So why isn’t it? The Smithsonian’s X3D platform could easily distribute the file (they already have President Lincoln’s face – both with and without a beard). The White House could host it on open.data.gov or open an account at any number of other places online. Then anyone could download the file and print their own President Obama bust. They could also remix President Obama to their heart’s content. The strangest thing is that keeping this data under wraps isn’t even preventing 3D files of President Obama off the internet. The team over at Sketchfab managed to extract a version of the President Obama scan from the White House video above. What’s left to lose? The White House flickr feed is already full of public domain (bogus usage restrictions aside) images of President Obama. Now that a 3D file is in the wild, why not provide the public with a high quality version? Why is President Obama missing from the world of 3D printing? This article originally appeared on 3DPrint.com. For much of this year, the US Copyright Office has been looking into 3D printing. Recently, I feel some commenters here at 3Dprint.com have fundamentally misunderstood the proceeding and confused it with unrelated items in the news. As the author of the petition before the Copyright Office, it seemed worth taking a moment to explain what is (and is not) happening at the Copyright Office. First, it is important to keep in mind that not everything that can be categorized as “intellectual property” is the same. Copyright generally protects creative, nonfunctional works (plus code) with protections that often last more than a century. Patent generally protects functional objects and processes (like 3D printing processes) with protection that expires after twenty years. Trademark generally protects words and symbols that identify goods in the market (like the name Stratasys) with protection that can last forever. As you might expect from its name, the Copyright Office focuses on Copyright. That means things like Taylor Swift songs and software that runs on computers. In most cases, that doesn’t mean technical processes connected to 3D printing like a new extruder head or material to be printed. That is true regardless how much money or time is spent developing them. These types of 3D printing-related technical innovations may be eligible for patent protection, but (as the name suggests) that type of protection is outside of the Copyright Office’s area of expertise. Fundamentally, the current proceeding is about using consumables not approved by printer manufacturers without violating copyright law (for more background on the proceeding, check out this article). As a general matter, the decision of what type of material to use in your 3D printer has nothing to do with copyright because neither printers nor consumables are protectable by copyright. However, since Stratasys (and other manufacturers) sometimes use chips with (potentially copyright protected) software to verify that consumables came from them, there is an argument to be made that using unapproved consumables could violate a part of copyright law called the Digital Millennium Copyright Act (also known as the DMCA for short). Make no mistake, this potential for a DMCA violation is little more than a pretext for manufacturers to protect materials and processes that are completely unrelated to copyright law. Stratasys is trying to use the DMCA to protect its market in consumables, a market that – regardless of how much time, money, and effort they invest – simply isn’t eligible for copyright protection. The idea that the DMCA is a pretext to protect these unrelated markets is not speculation. Stratasys’ own filing for the Copyright Office focuses almost exclusively on concerns like consumer safety and repeatability of prints. These concerns may be important, but they are not the types of concerns that Copyright is designed to address. Stratasys further commissioned an economic study as an addendum to its filing purporting to detail the consumer benefits of locking users into one source of consumables. Regardless of the validity of this argument – and I’ll admit that I’m highly skeptical – this benefit has nothing do with concerns about someone making infringing copies of the software that runs Stratasys printers. Finally, during the hearing on this petitionStratasys spent a great deal of time detailing the potential for airplanes to fall from the sky if non-approved materials entered the commercial supply chain. Again, regardless of this argument’s validity, we simply do not rely on copyright law to address these sorts of harms. The fact that Stratasys focuses on all of these points at the expense of any actually connected to copyright highlights the pretextual nature of its involvement in this proceeding. There are numerous differences between 2D and 3D printing – from the materials used, to the output of the machines, to the brand names of the companies involved in the market. However, in the context of the DMCA and unlocking, 2D and 3D printing are remarkably similar. A decade ago the 2D printing company Lexmark also tried to use copyright as a pretext to lock people into using toner from them. Courtsslapped Lexmark down, rightly observing that copyright has nothing to do with printer toner – even (especially?) printer toner and cartridges that embodied millions of dollars’ worth of R&D and a fair number of patents. Technical differences aside, the dynamic in 3D printing is almost identical. Again, a printer manufacturer is looking to rely on the pretext of copyright to protect its market in printer consumables that – unlike the market for Taylor Swift’s songs – has no real connection to copyright. If this was simply an academic argument about the nature of copyright it probably wouldn’t be worth having. But besides the general chilling effect that copyright creep can have on innovation, this sort of copyright abuse has very real consequences. Lock-in also slows innovation. No matter how innovative Stratasys wants to be – and I’m not suggesting that they lack innovation – no single manufacturer can think of everything. Allowing third parties the opportunity to sell consumables brings more eyes on the challenges of developing 3D printing materials. With more people competing to develop more innovative 3D printing consumables, everyone wins. Finally, this is about ownership and control. Using non-approved consumables in a 3D printer may be a great idea. It also may be a horrible idea. However, users of 3D printers are adults who should be free to make that assessment themselves. They may void their warranties or their service contracts, but there is no reason they should be threatened with a copyright lawsuit for daring to experiment with unapproved consumables. Today, users can load unapproved operating systems on the Apple laptops, unlock their Microsoft cell phones in order to switch carriers, andbuy unapproved 2D printer toner for their Lexmark printers. Not only has the world not come to an end, but Apple, Microsoft, and Lexmark have continued to exist and improve. There is no reason that copyright should be used as a pretext to make 3D printers any different.